What impact do your professional development investments have on student achievement and teacher effectiveness? Given the increased emphasis on educator effectiveness and efficient use of resources, answering that question has never been more important. 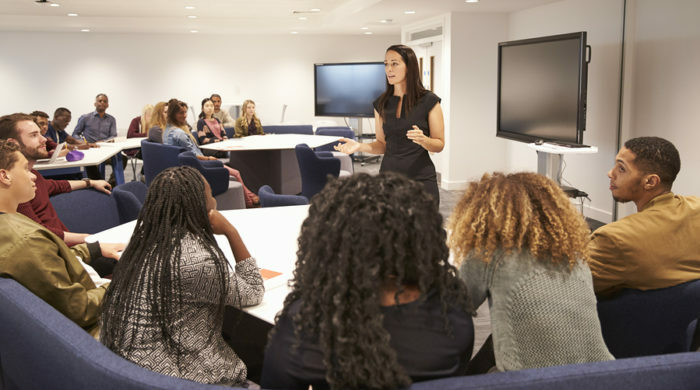 The Community Training and Assistance Center (CTAC) can help by conducting a comprehensive professional development audit to improve districts’ ability to make informed decisions. To make strategic decisions regarding professional development, districts need to know how much is truly (not just perceived to be) spent on professional development and what is the real impact—on student academic growth, on teaching practices, and on teachers’ perceptions of the value of professional development to their craft. CTAC helps answer these critical questions through our comprehensive Professional Development Audit. CTAC’s professional development audit analyzes both quantitative and qualitative data to understand the impact of professional development on student achievement, as well as on the practices and perceptions of educators. CTAC has conducted professional development audits in school systems across the country, including such leading districts as Duval County Public Schools in Florida, Henrico County Public Schools and Prince William County Public Schools in Virginia. Our professional development audit process is captured in our landmark analysis of the effectiveness of literacy professional development provided to educators by the Schultz Center for Teaching and Leadership in Duval County Public Schools (Florida). Read it now. To learn how CTAC can help your school district or state achieve its goals, call us at (617) 423-1444 or contact us today.